Laurie is the Publishing Manager and Director of Operations at Author Bridge Media. Since 2012, Laurie has shepherded scores of book projects through publication. She oversees Author Bridge's team of expert designers, publishing assistants, and printers. She is passionate about bringing an Author's vision to life, and thrives on keeping each book on track throughout the complex publishing process. Laurie grappled with the challenges of a quickly changing landscape in self-publishing before finally mastering its ever-changing ups and downs. 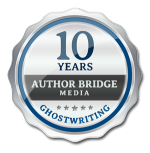 She then went on to build the proven Author Bridge Get It Published™process, which has allowed dozens of Authors to finally publish their professional books. 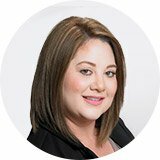 She is passionate about her work with a track record in operations, Laurie previously managed the backend logistics of a team that launched campaigns for major brands such as Microsoft, TheNorthFace, Estee Lauder, Capital One and Nike. In her spare time, she manages a household of five amazing kids, four dozen relatives, three fighting fish, two snoring dogs and a hunky husband in a family tree.